1-CD DigiPac (6-plated) with 36-page booklet, 26 tracks, playing time 60:35 minutes. 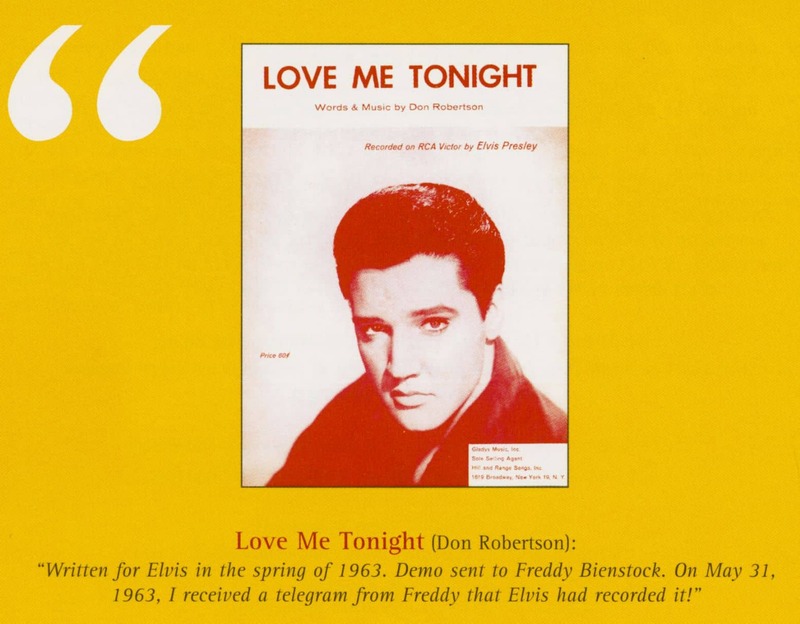 Here's a rare treat for Elvis collectors. 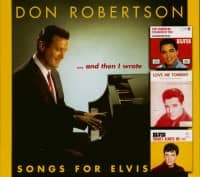 No more endless out-takes, these are the original demos that Elvis heard of some of his greatest songs, all performed by the songwriter, Don Robertson. 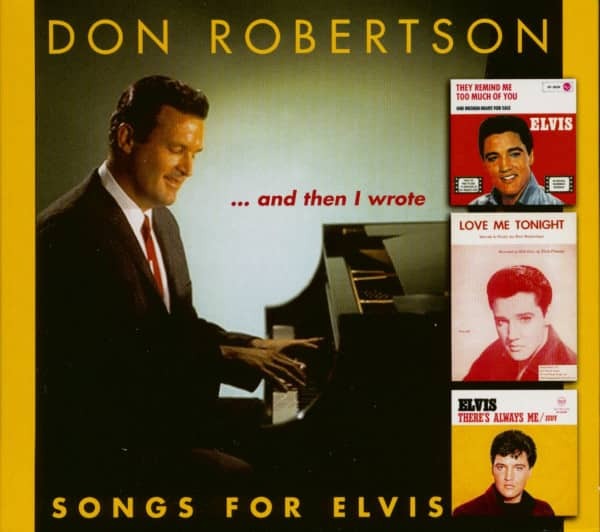 Among the Elvis classics heard in their absolutely original version are They Remind Too Much Of You; Anything That's Part Of You; Starting Today; There's Always Me; Love Me Tonight; I Met Her Today; What Now, What Next, Where To; and I'm Counting On You. 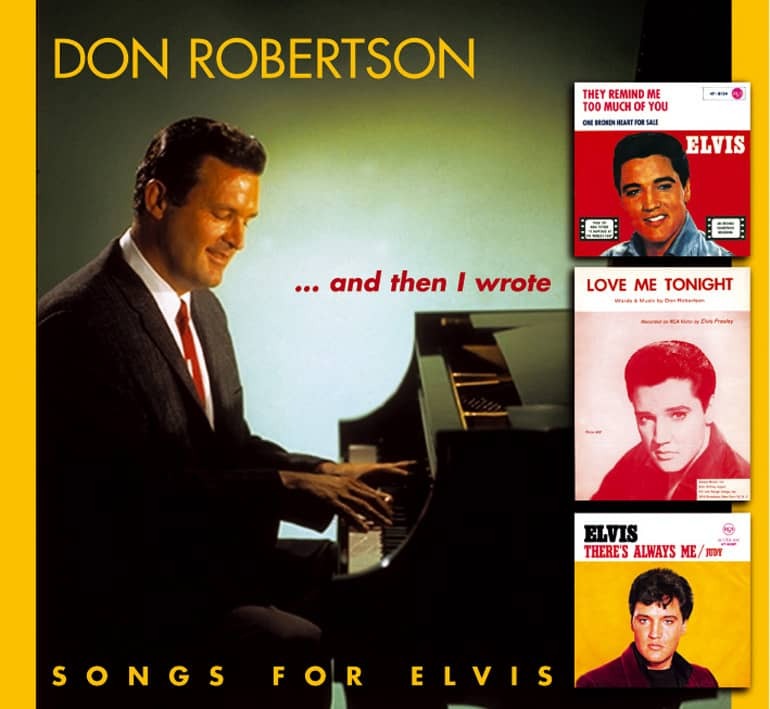 In addition to writing for Elvis, Don Robertson also invented the famous 'slip-note' piano style popularized by Floyd Cramer, and we hear several great examples of his work on this collection. Something truly different...and something truly great. Elvis fans and anyone intrigued by the art of the popular song will love this set. 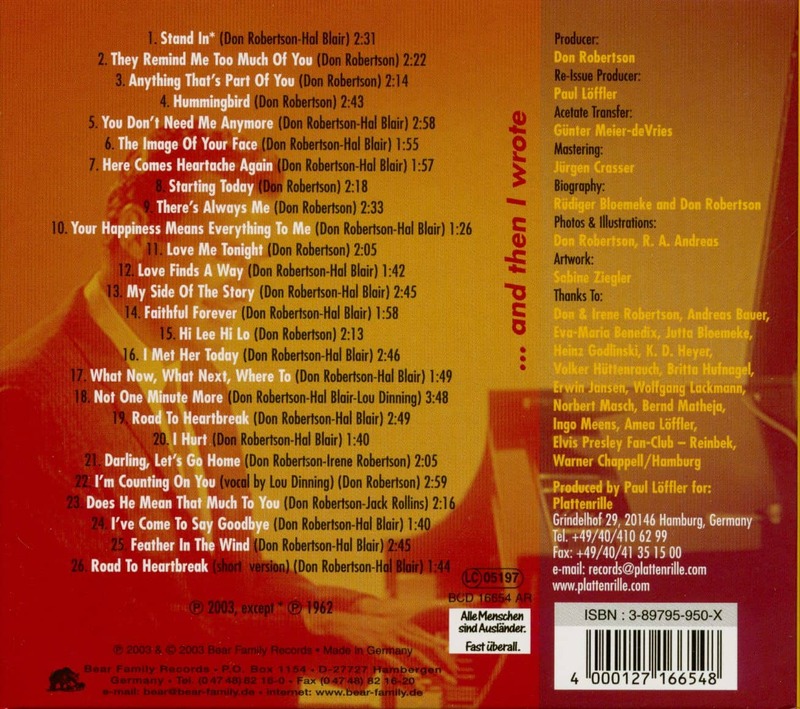 Customer evaluation for "And Then I Wrote - Songs For Elvis (CD)"